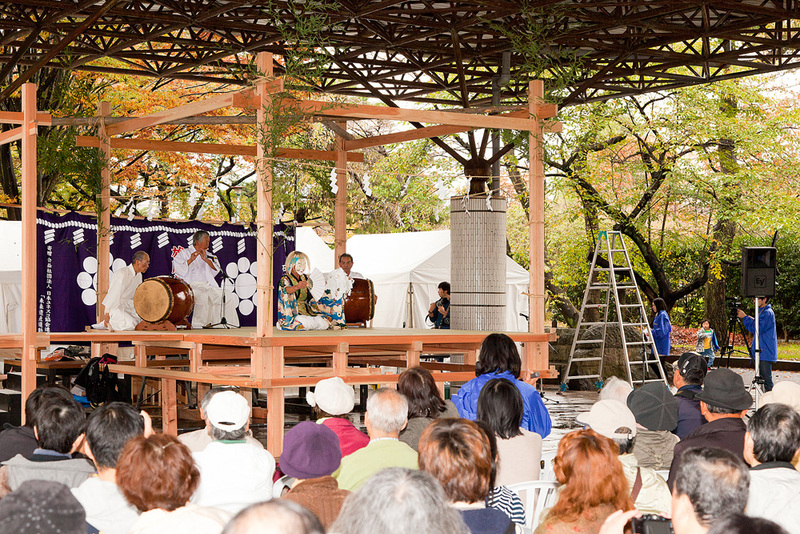 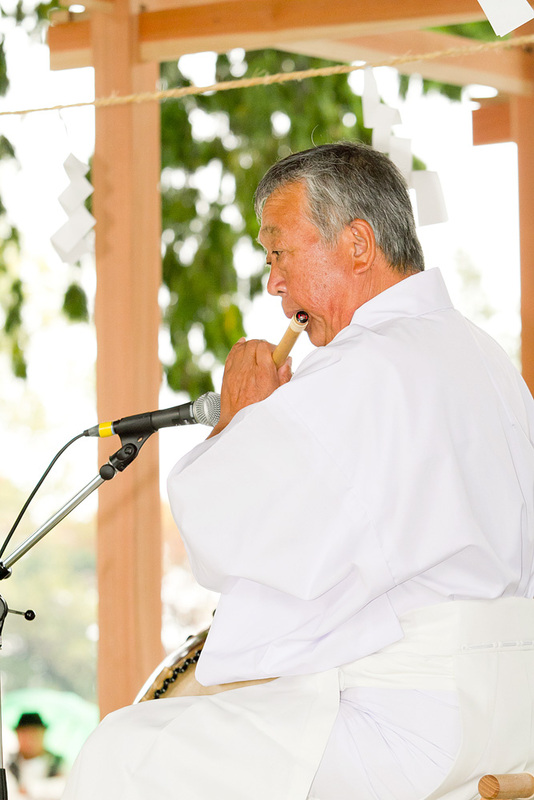 The “Rekimin Fall Festival 2011” was held on October 22, 2011. 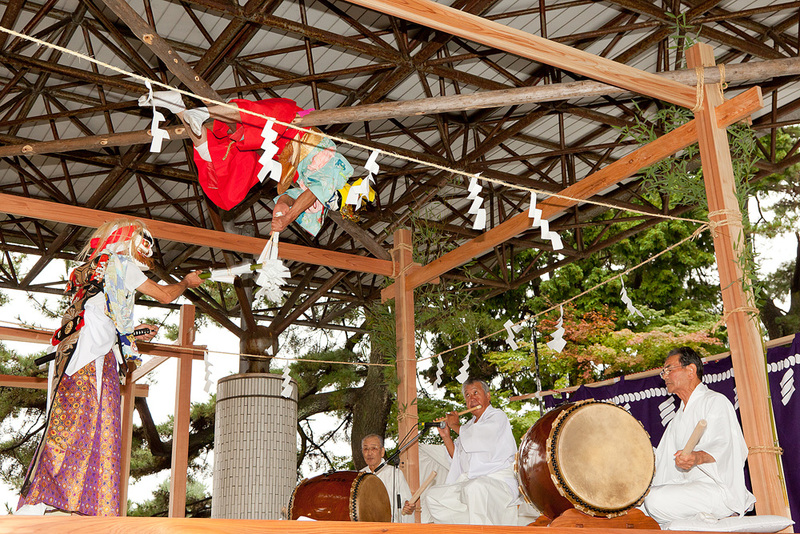 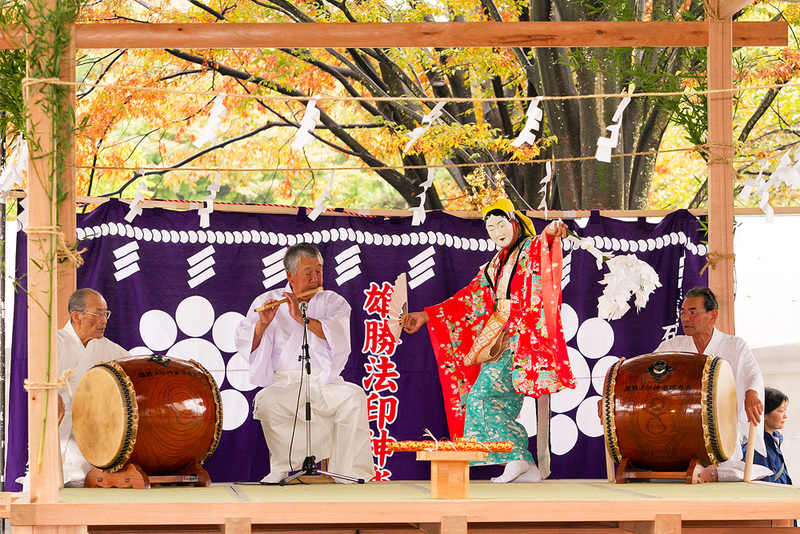 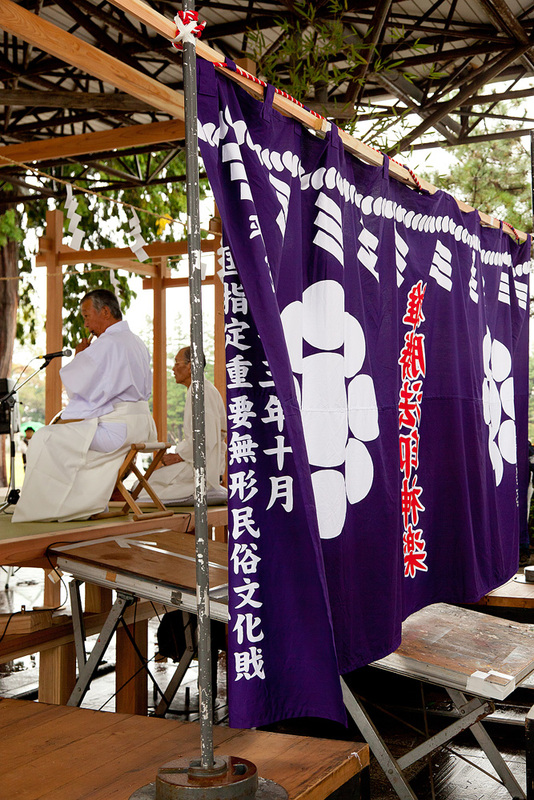 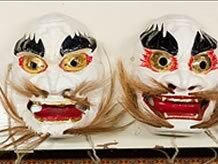 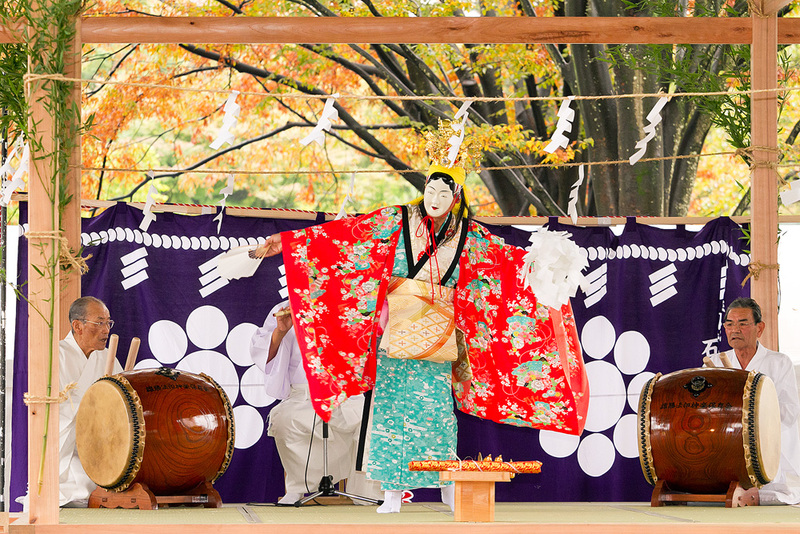 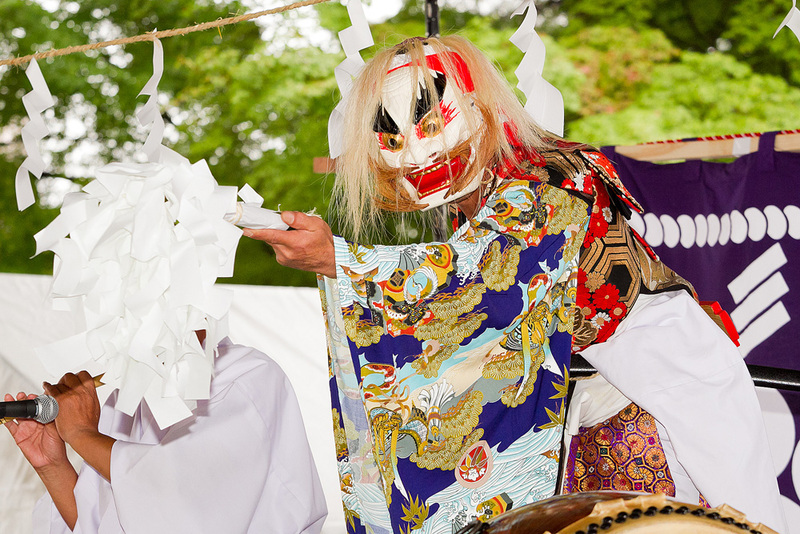 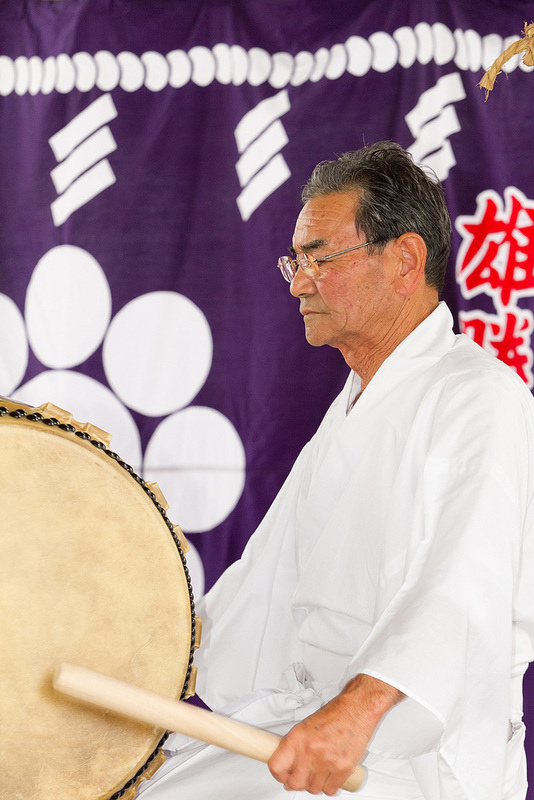 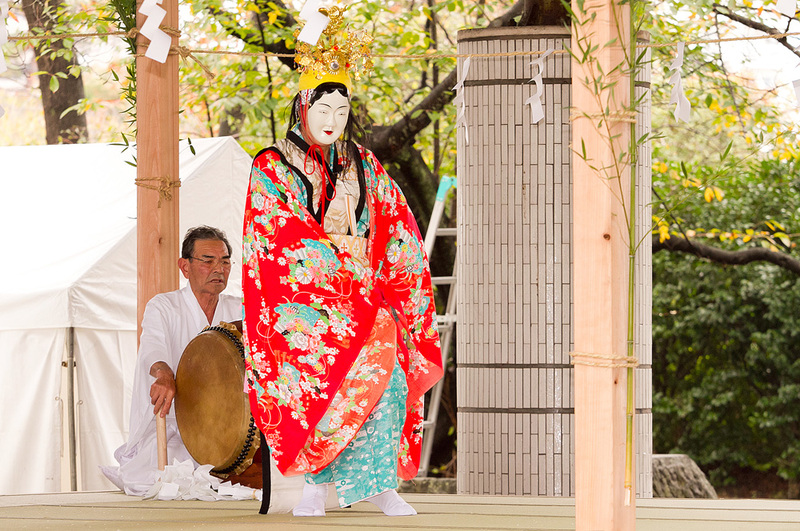 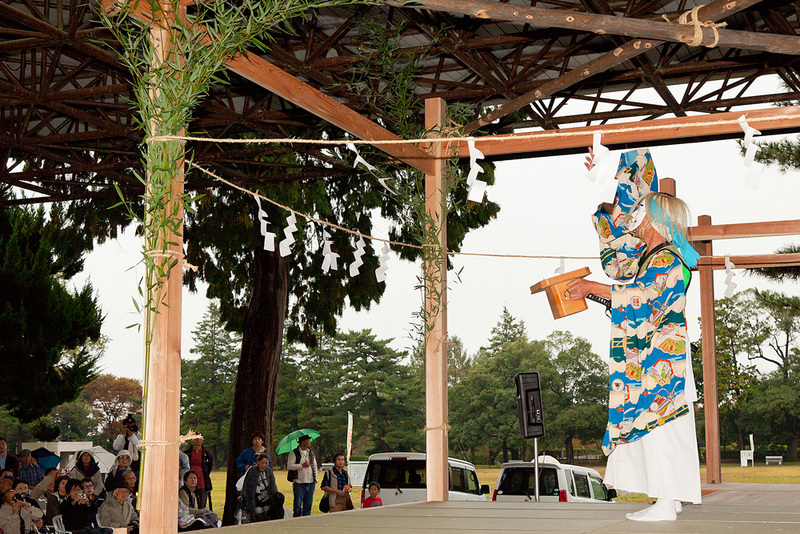 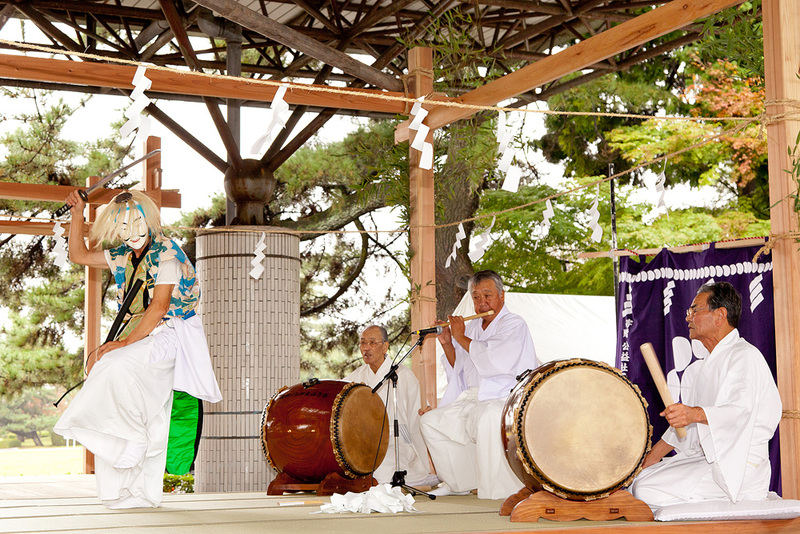 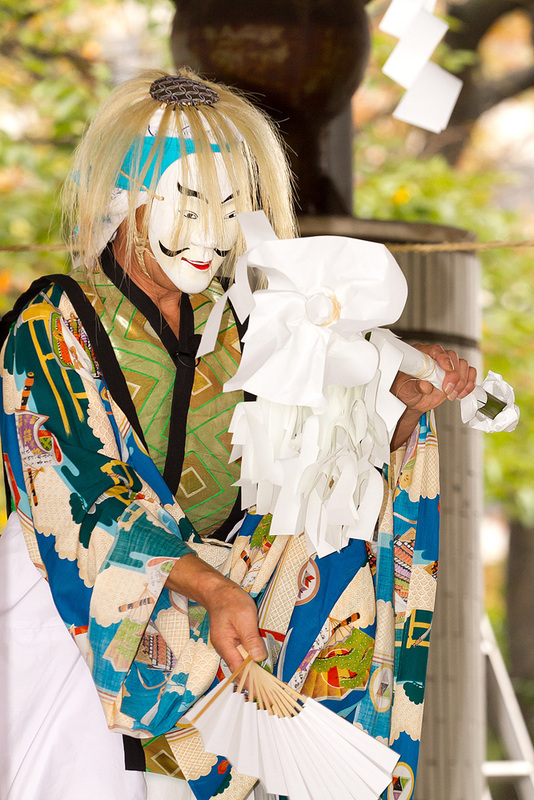 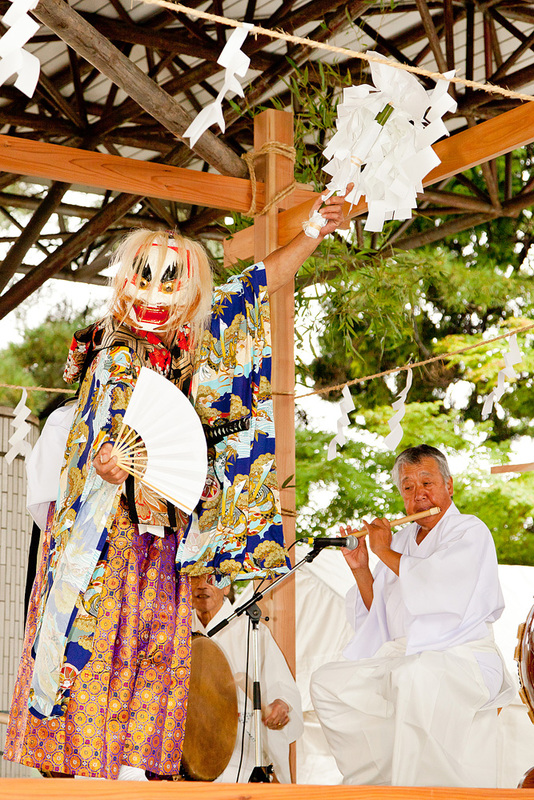 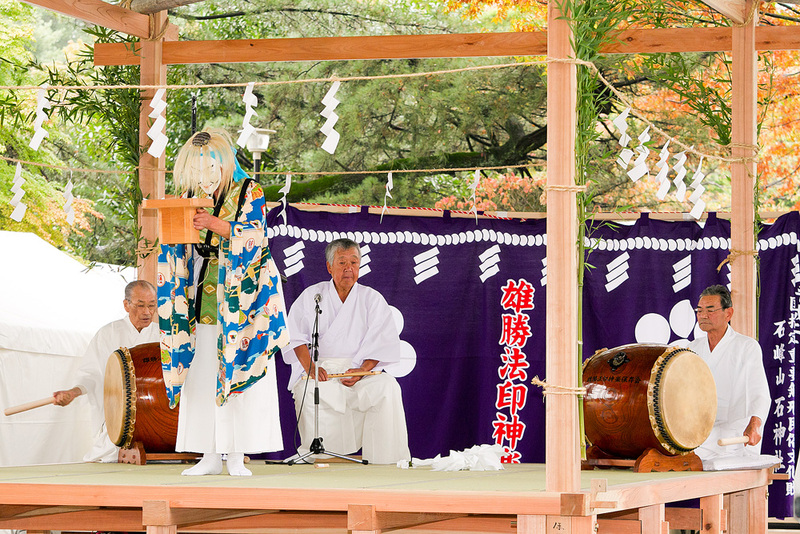 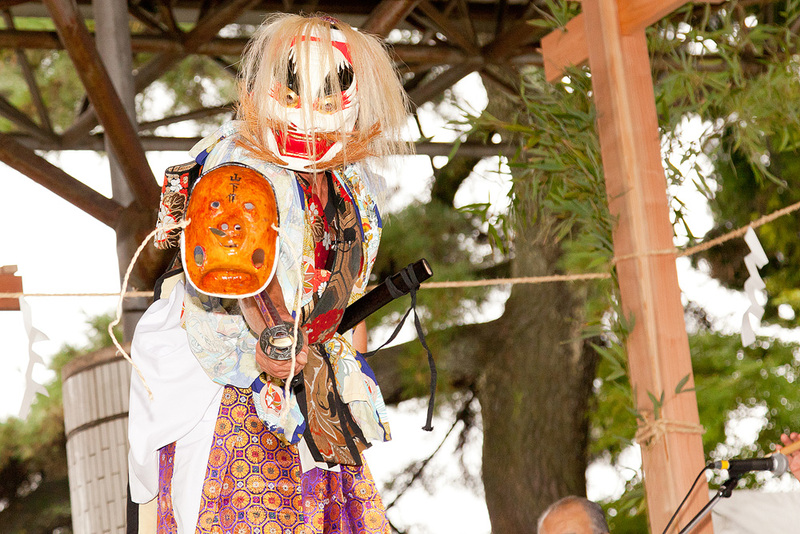 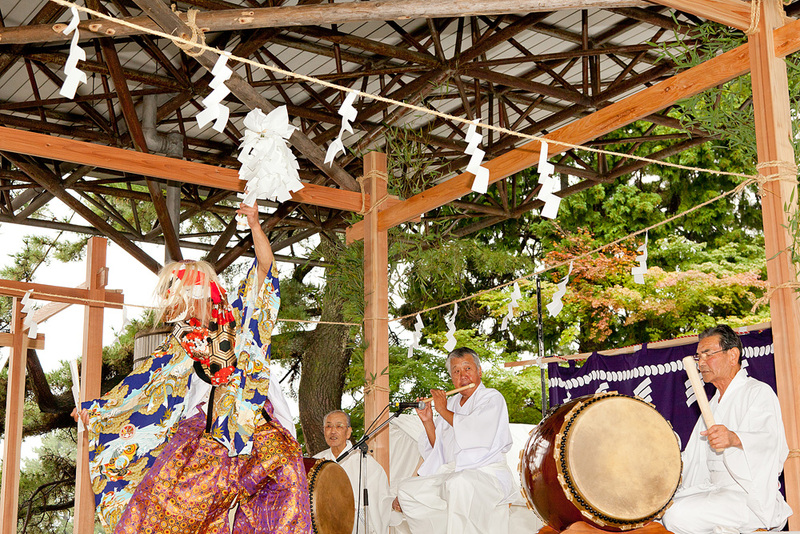 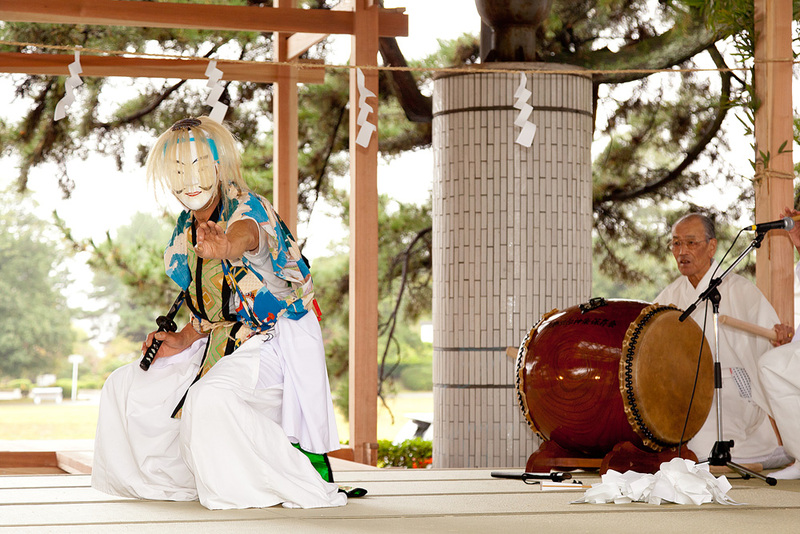 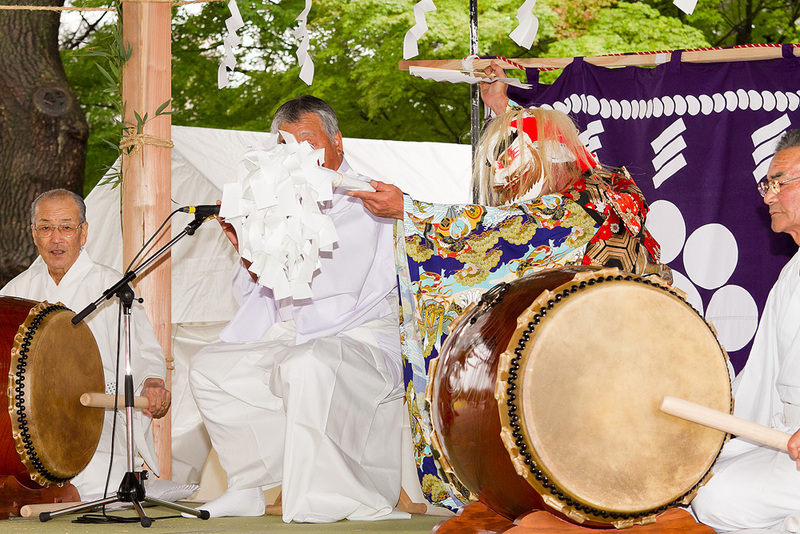 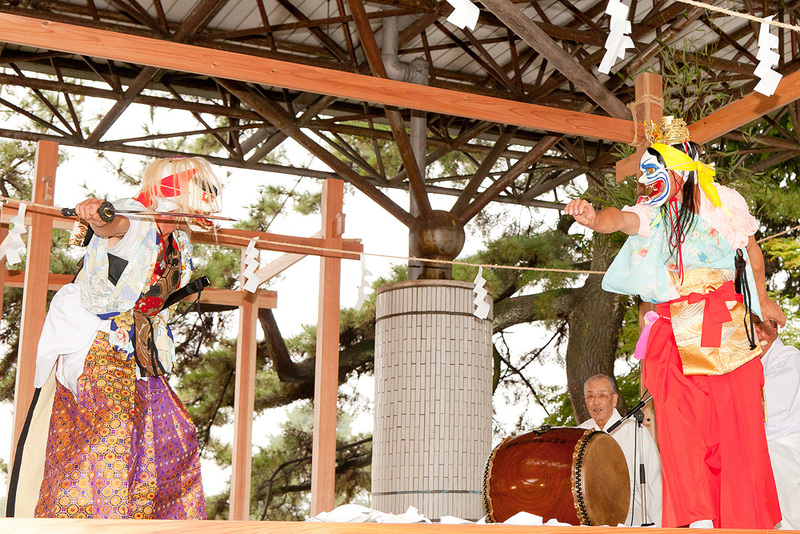 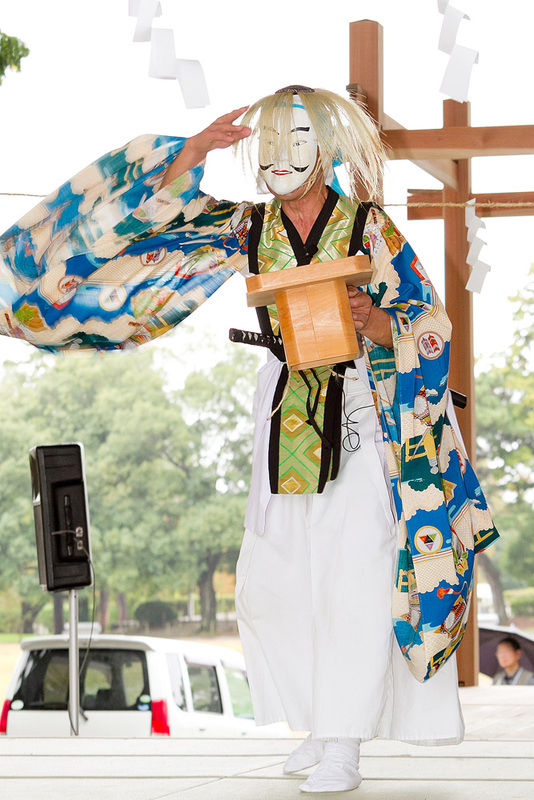 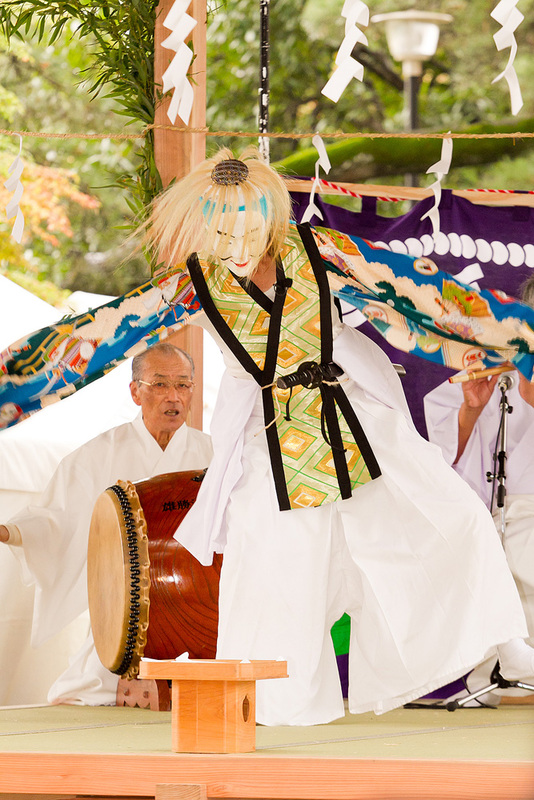 These are scenes from the Ogatsu Hoin Kagura that was performed at the festival. 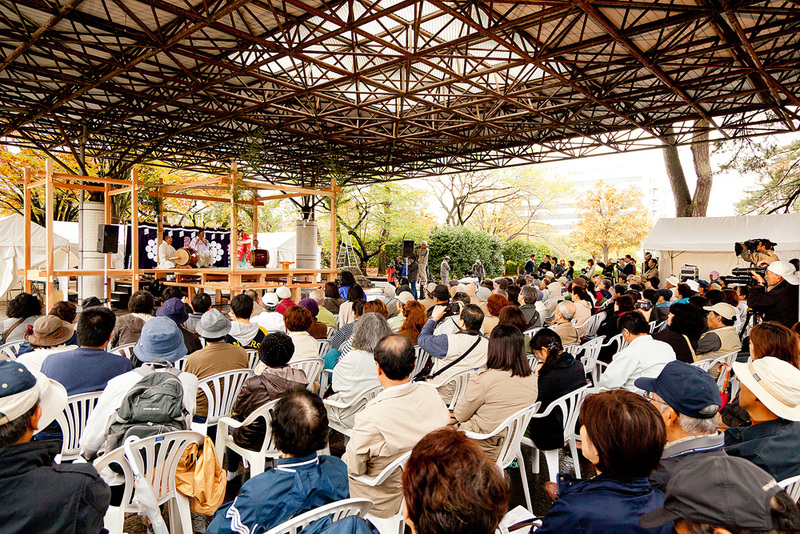 It was held in Tsutsujigaoka Park in Miyagino-ku, Sendai. 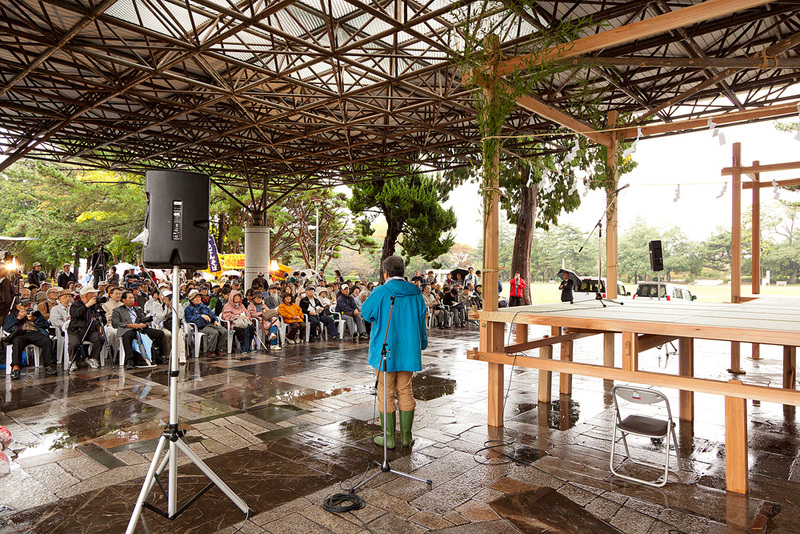 Due to rain, the stage was set up under eaves at the park. 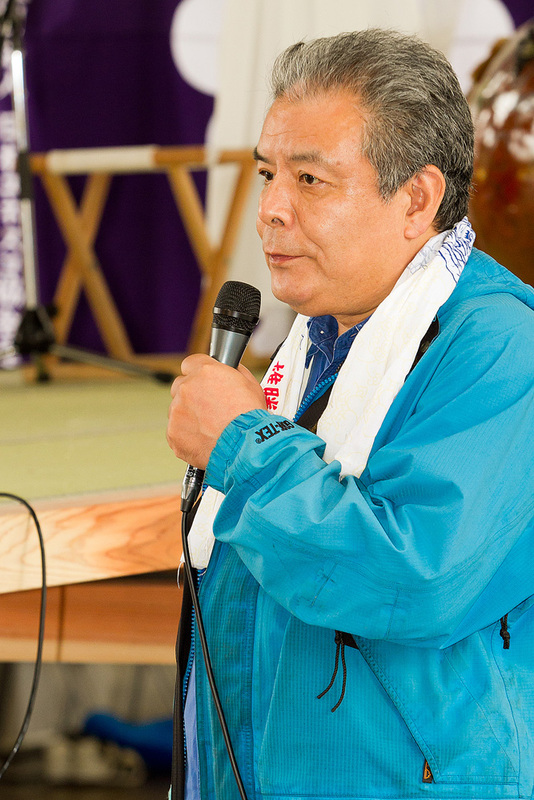 Mr. Toshifumi Yamaki of Sendai Engeki Kobo 10-Box makes a speech. 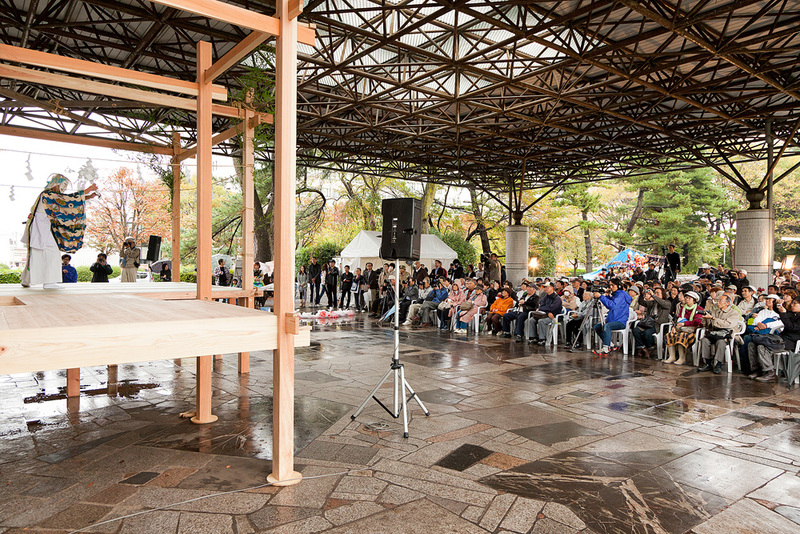 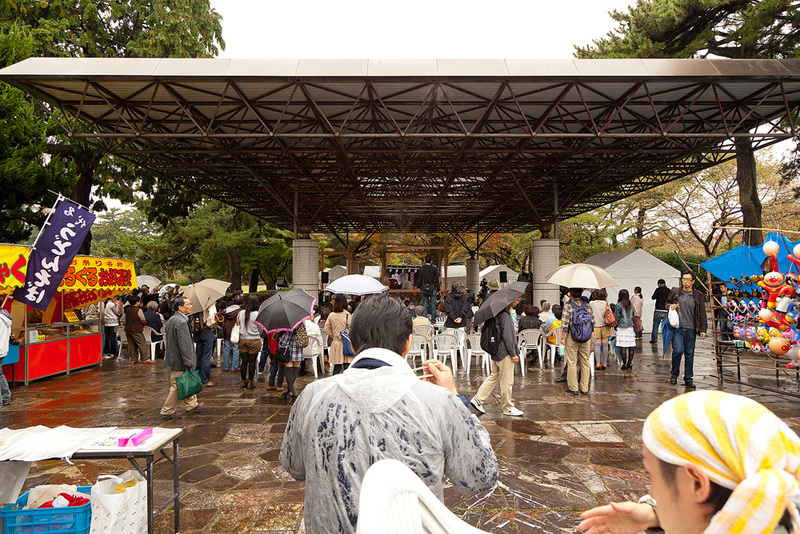 Despite rainy weather, there was a large audience. 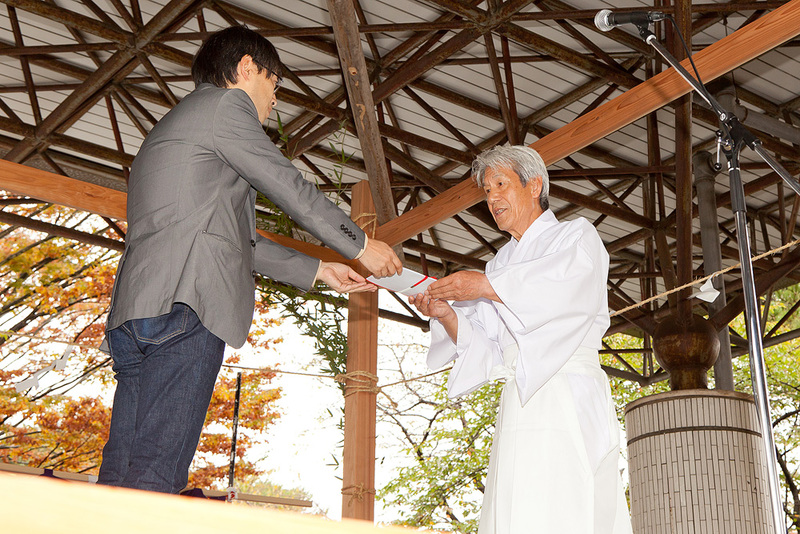 Taiyo Sakaguchi, Associate Professor, Department of Architectural Design, Sendai National College of Technology, passes a catalog to Hiroo Ito, deputy President of Ogatsu Hoin Kagura Preservation Group. 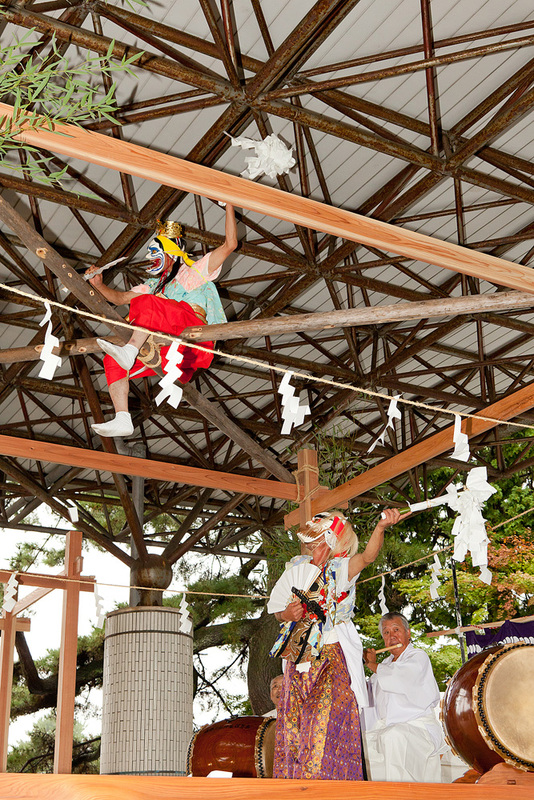 The “Doso” performance starts. 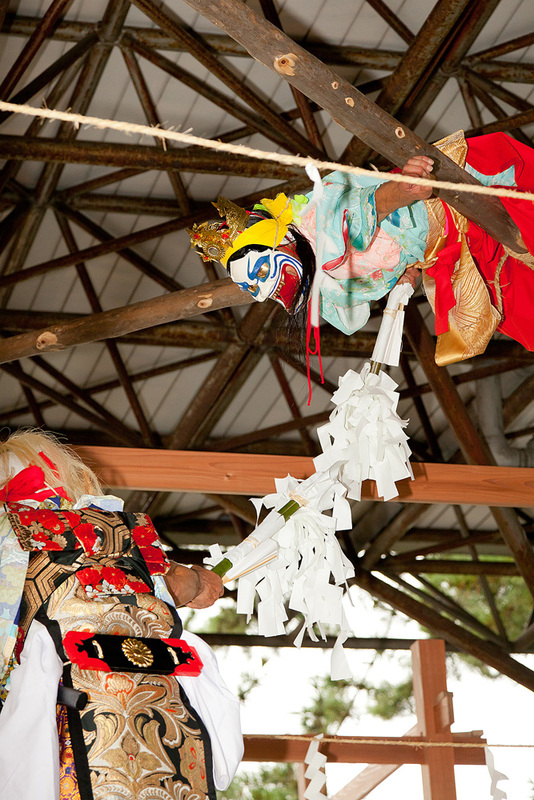 It is said to be the story of deity Sarutahiko-no-Mikoto. 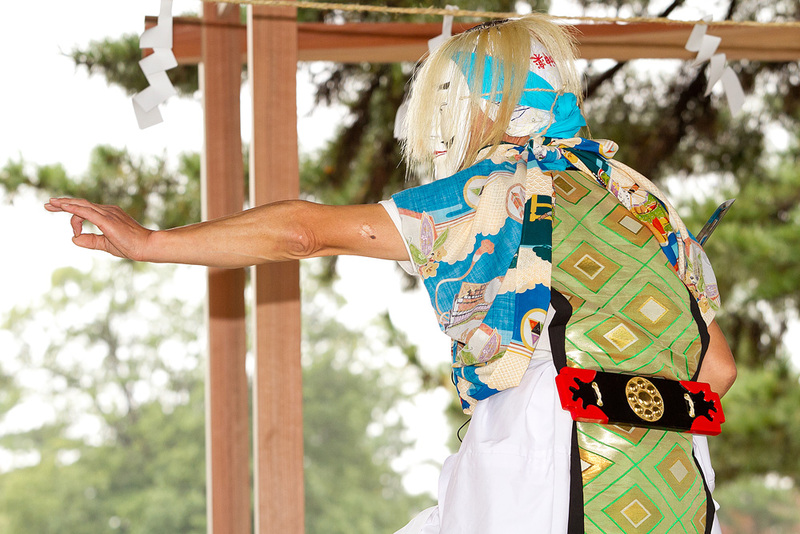 He dances drawing a sword. 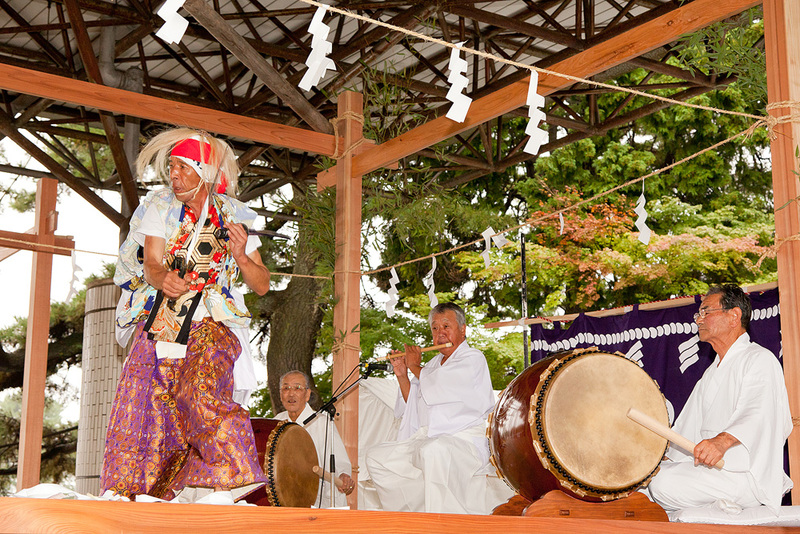 Two people play drums, and one plays the flute. 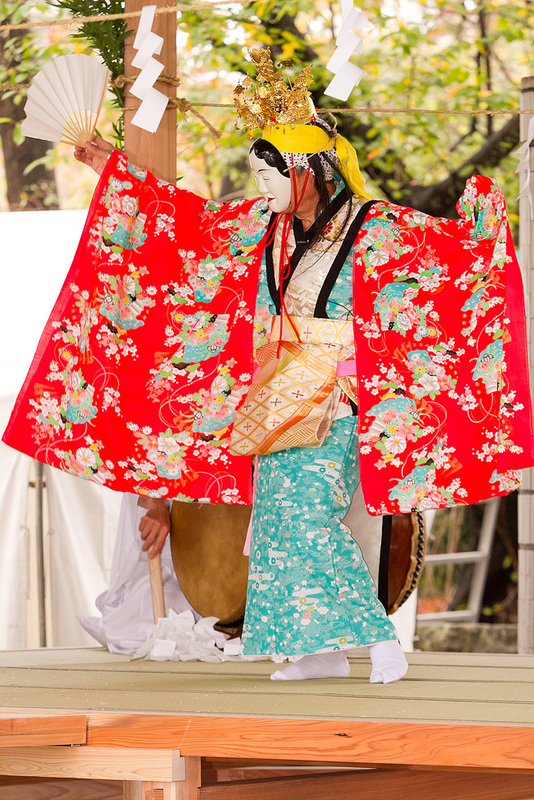 The dance of Princess Iwanaga (imposter). 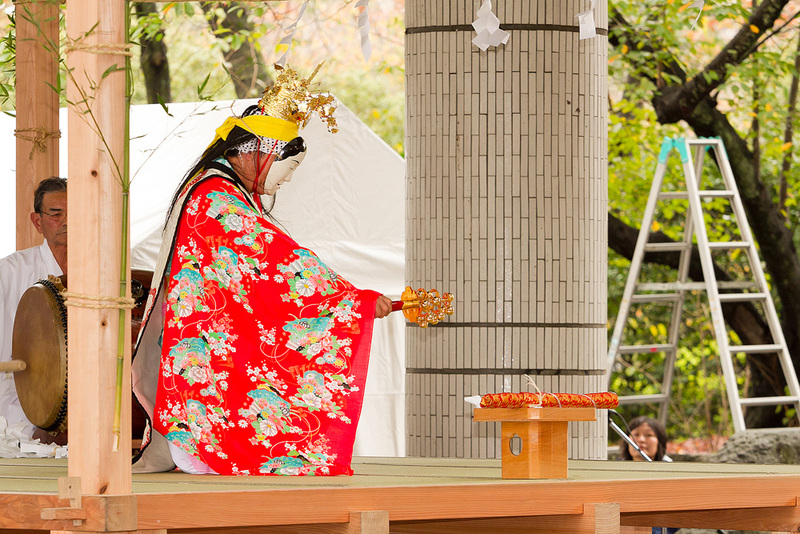 Princess Iwanaga carries away the Ame-no-Murakumo-no-Tsurugi sword. 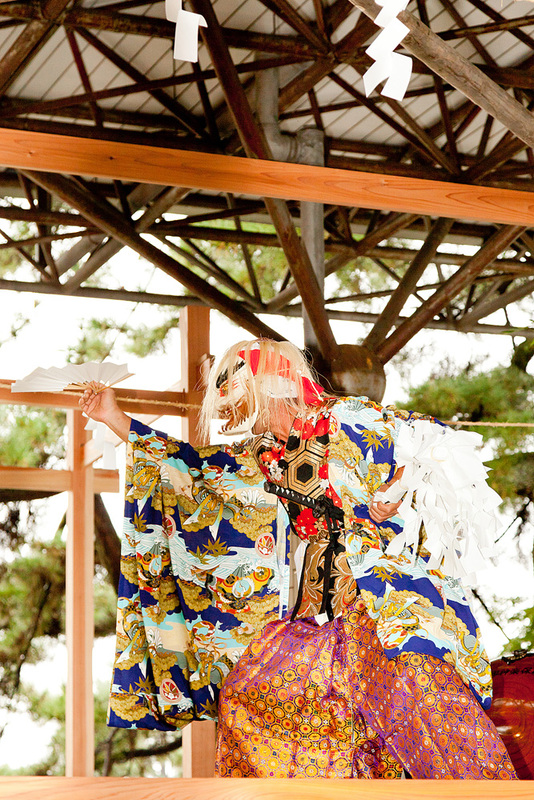 Prince Yamato Takeru appears. 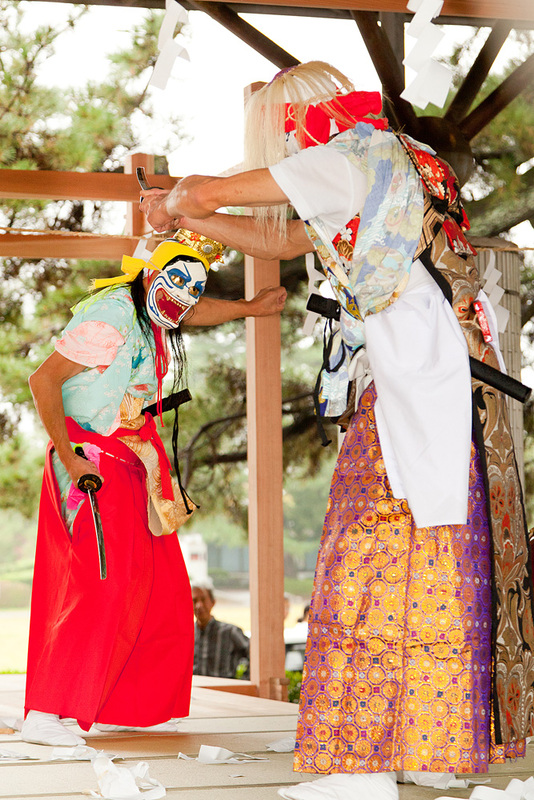 He becomes angry after discovering that the sword has been carried away. 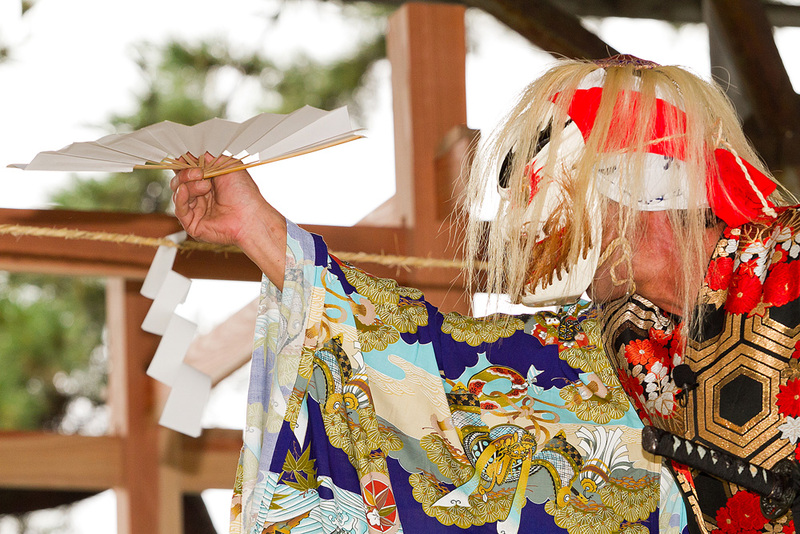 The devil who took the shape of Princess Iwanaga reveals his natural shape. 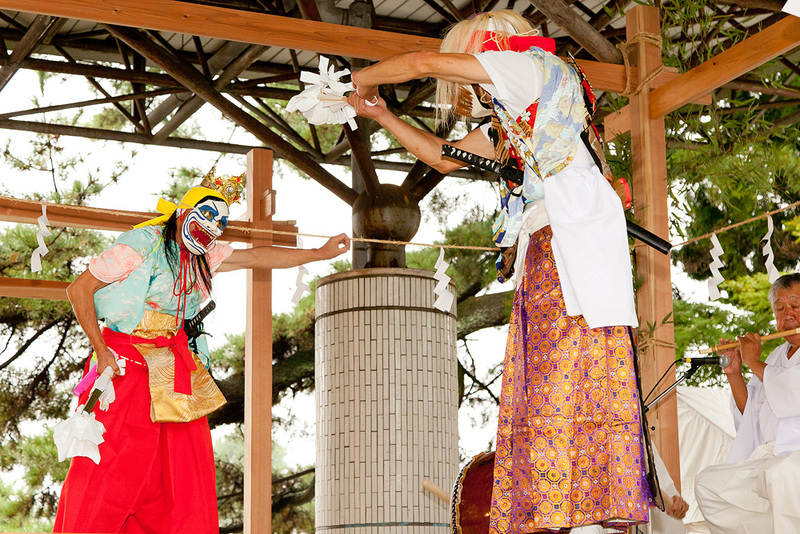 A terrific battle starts. 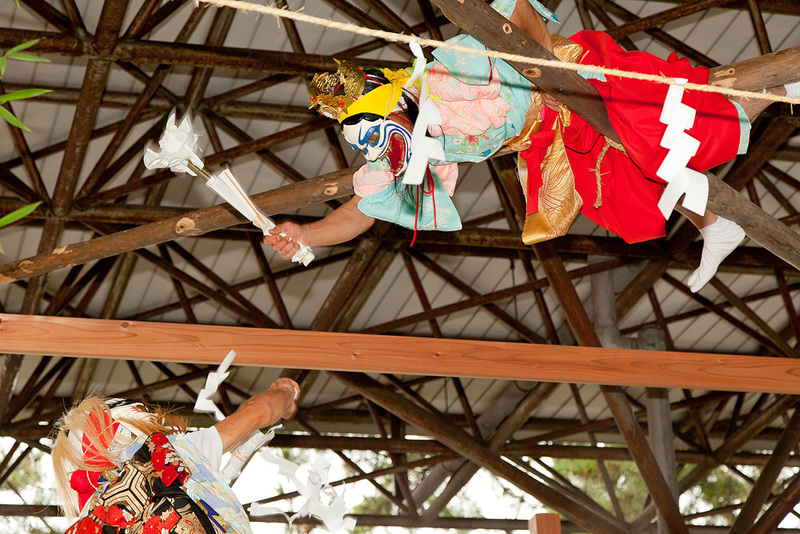 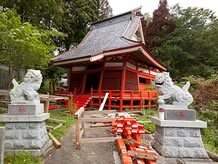 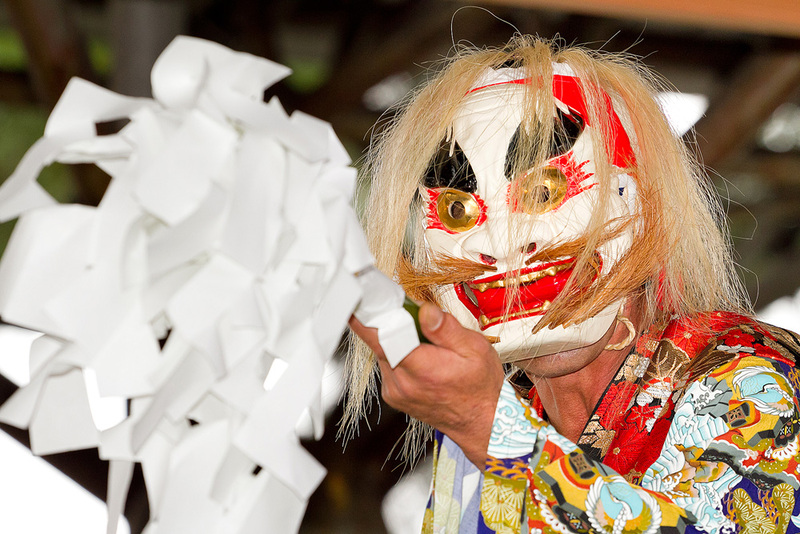 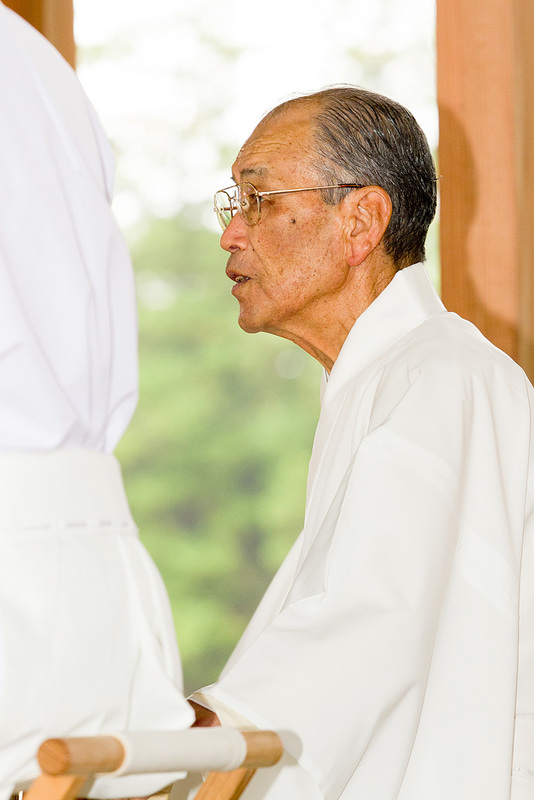 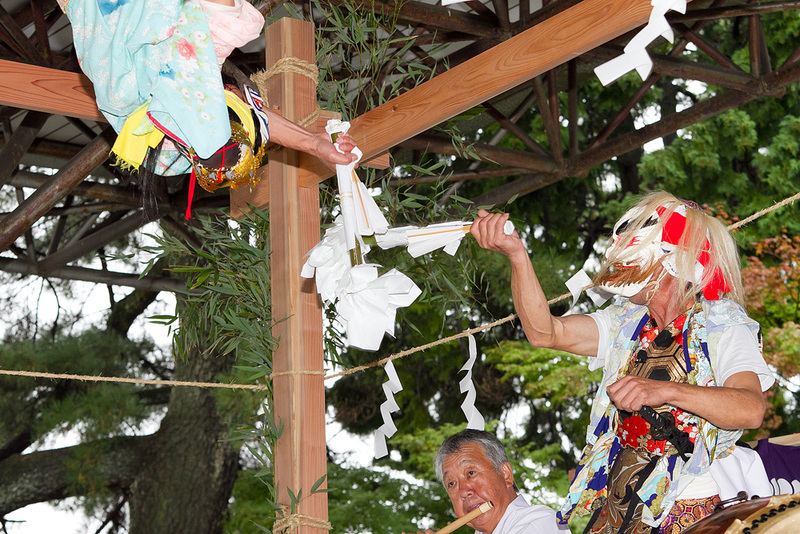 They hit each other with nusa, wooden Shinto wands with pendant strips of cut paper. 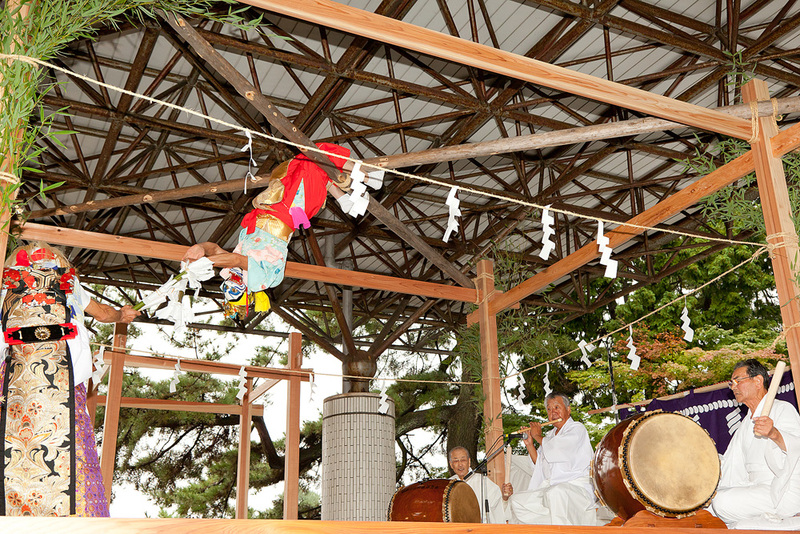 The devil descends to the ground. 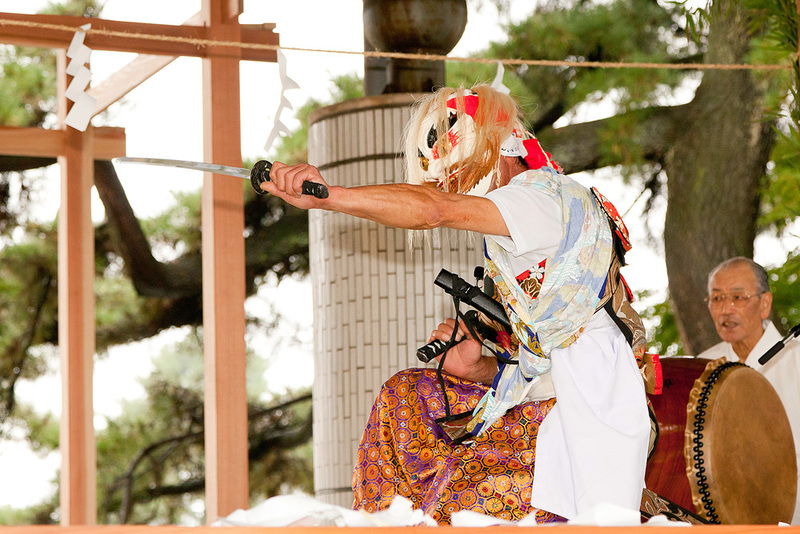 The devil throws out the battered nusa and draws a sword. 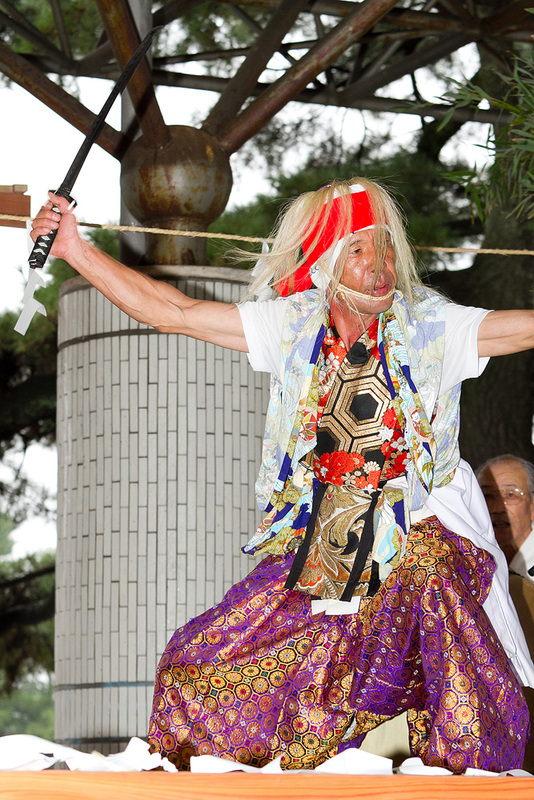 As if in answer to him, Prince Yamato Takeru also draws a sword. 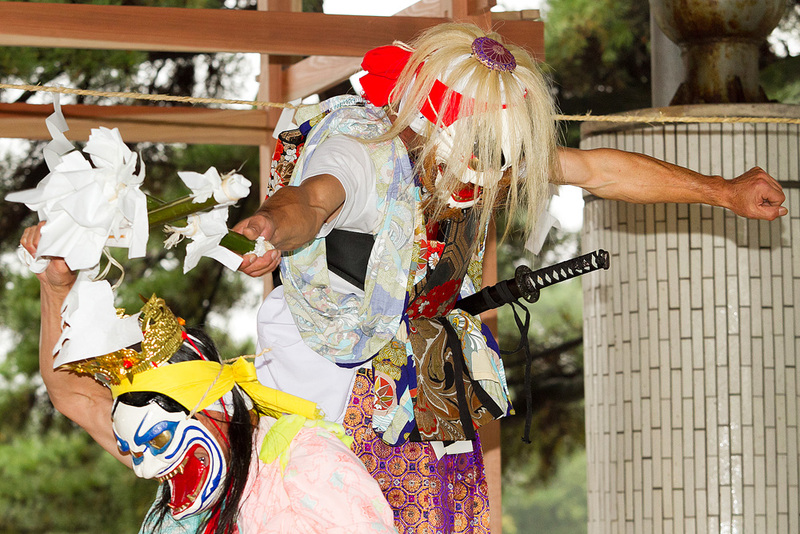 After the battle, the devil is defeated, and the sword is returned to Prince Yamato Takeru. 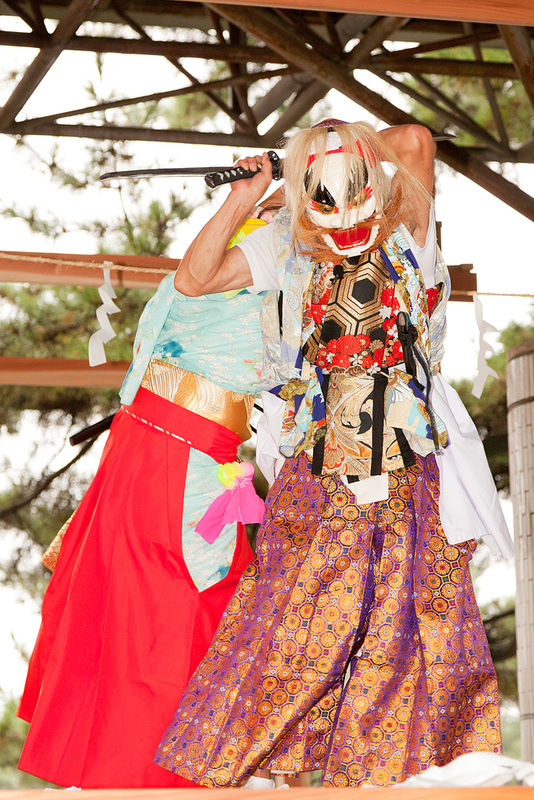 The performance ends with a victory dance using two swords.